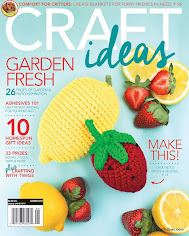 Today I'm reviewing a jewelry craft book I received from Leisure Arts entitled Wanderlust . These easy travel-inspired jewelry designs are created with different destinations in mind. Whether you like the beach, the wide open west or you are more of a city person and favor New York or Paris, there is something for you in this book. You can create them to wear in your travels or in remembrance of them. 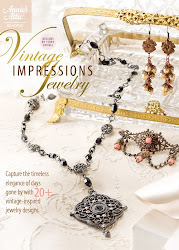 I especially recommend this book for those who are new to jewelry making. The only skill needed to create these jewelry designs is opening and closing jump rings. That's it! 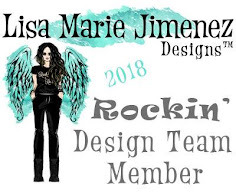 The designs were created by the very accomplished Lena Prima, a singer, recording artist, songwriter, artist and author. She also has her own line of jewelry "Pennies from Heaven". Her jewelry line is named in remembrance of her father, Louis Prima, who was a famous singer. Depending on your age, you may remember his rendition of "Pennies from Heaven". If you are younger, you'll remember the song "I Wanna Be Like You" from Disney's The Jungle Book. Here's the design I chose as inspiration. It's called New England Weekend, and I thought it would be perfect for the upcoming fall season. Plus, I happened to have some of these brass leaves in my stash! 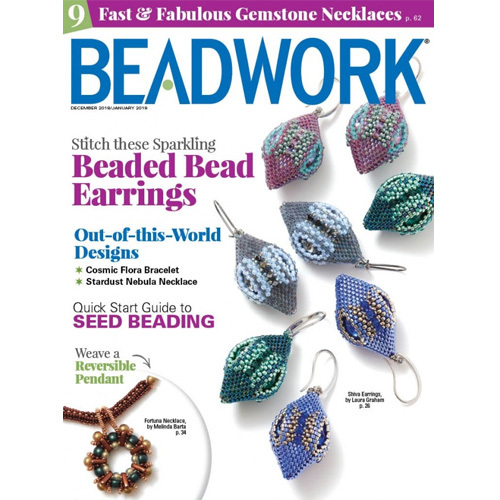 This set is created with beaded chain, which makes it super quick and easy. I didn't have that, so I created my own chain with beads in fall colors. Turning a simple loop is the only added skill. You might notice that there is some variation in the color of the leaves. I added some brown alcohol ink to give the leaves more interest and dimension. I added more dimension by curling and twisting the leaves with pliers. These filigree leaves are so easy to bend, you can do it with your fingers. Here's another photo of the necklace in different light. You can see the effect of the bending and the ink more clearly on my earrings. You could also use patinas on these leaves for interesting effects. 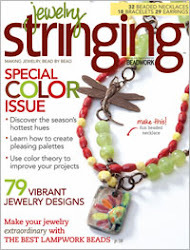 I recommend this book especially for those of you new to jewelry making. With the use of only one skill and pre-made chains and components, you will become a jewelry maker in no time! Those who are more skilled will also find lots of great ideas. You'll love the looks created with layered necklaces and chains to create a trendy fashion statement. Have fun creating travel-inspired jewelry while you listen to Lena's music. You can find this book on the Leisure Arts website here. And, listen to the wonderful song styling of Lena Prima here.